How does this look for the block surface? 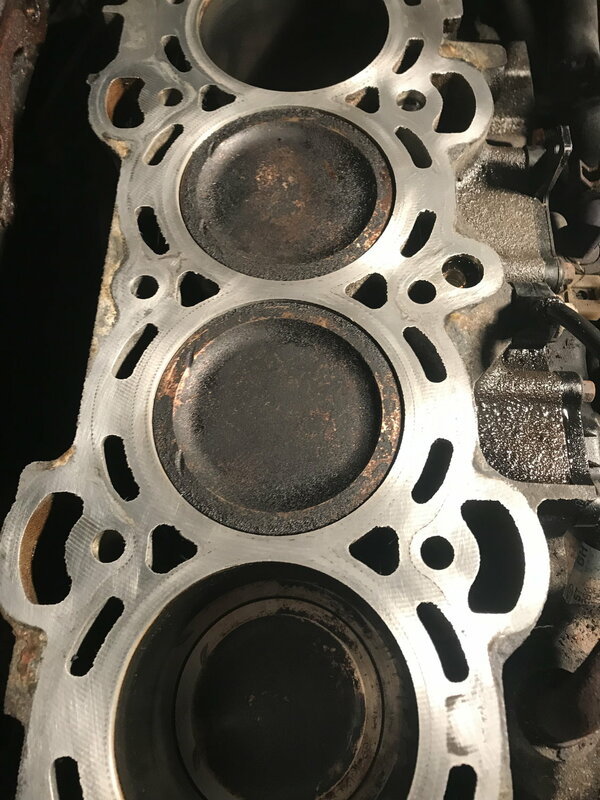 Replacing cylinder head on 06 2.3L Duratec, I have never done a head before, so any advice is welcome. Does the block surface look good? I have a remanufactured head I'm putting on which was milled so that surface should be fine. You can use a metal straight edge with a flash light behind it to see if block(or head) has an warps, low spot, you can "feel" the high spots, lol. I removed the big crap first with a razor blade, then used a scotch brite pad and brake cleaner twice over the whole top. I can't feel anything on there that makes me think it is not ready, but the vote of confidence is nice. Now once I can remember where the EGR coolant line is I can mount the remanufactured head, this is very exciting! Then it's timing, then reassembly of the rest. Lug nut/ wheel surface damage....ideas? Removing sticker from delicate surface.